Billy McKenzie believes a top-10 finish in the Irish Amateur Open Championship will boost his St Andrews Trophy ambitions. The Rowlands Castle ace has been selected in Great Britain & Ireland’s provisional 20-man squad to face the Continent of Europe in July after a fine start to the season. 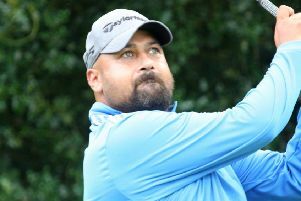 McKenzie won the Spanish Amateur Championship in March – which earned him a spot in the Spanish Open on the European Tour. 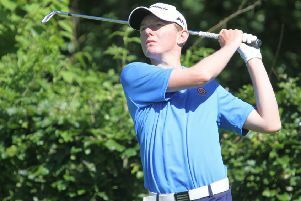 The former Admiral Lord Nelson student also finished ninth in the Lytham Trophy at Royal Lytham & St Annes Golf Club earlier this month, while he made his England debut in their victory over France last weekend. McKenzie is full of confidence ahead of the Irish amateur at Royal County Down which starts tomorrow. He feels a spot in the top 10 will help him clinch a berth on the GB&I team for the St Andrews Trophy. ‘But I’ve tried to forget about it and think about the next events I’ve been playing in. I’d love to be part of the GB&I team come July. ‘I need to play solid golf. Another win would be immense but as long as I keep cracking out top-10s like I did at Lytham then I’ll be absolutely fine. ‘I’ll be moving up and consistent golf goes a long way. As long as I keep making cuts and finish as high as I can then I’ll be okay. ‘I’m feeling confident going into it. Lytham was a big test – it’s one of the toughest courses you’re ever going to play. ‘The weather wasn’t great and I started with a 66 (to lead) but didn’t quite have it the rest of the week. ‘It was nice to get myself out there and get my name talked about. ‘It’s the situation you want to put yourself in because the more you do that, the more capable you will be the next time you do it. ‘This week will be another tough test but hopefully my game can hold up and I can be in contention again. McKenzie made his international debut in England’s 13-7 victory over France at Vidauban Golf Club. Although he admitted he wasn’t at his best, the 23-year-old was proud to have made his bow for his country. McKenzie added: ‘It was my first cap and when you’re wearing the England Golf jersey it’s a huge achievement. ‘It was unbelievable to represent my country at the highest level. ‘The first day wasn’t my best but I played alright the second day.